Large, spreading tree growing in low, wet soil (river bottoms, gulches, and so on); young bark smooth, but soon very deeply furrowed; leaves oval-triangular, pointed, with 40-50 blunt teeth; growing east of the Great Plains. 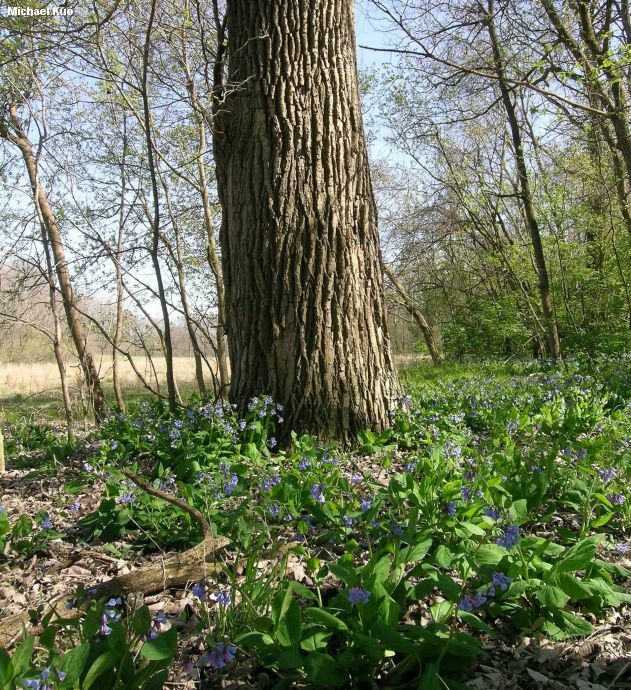 Habitat: Typically in low, wet areas (along rivers, in creek bottoms, and so on); often growing with Sycamore, or in more or less pure stands; growing east of the Great Plains. 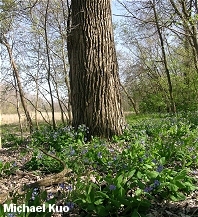 Stature: 60-100 feet high; trunk to 5 feet in diameter; with a spreading and open crown; branches large, angling upwards. 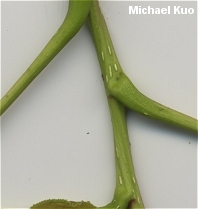 Leaves: Oval-triangular; pointed; 3-6 inches long; yellowish green; with 40-50 rounded-off teeth; firm; stems to 3 inches long; with 3-5 small glands where the stem meets the twig. Bark: Pale, thin, and smooth when young; soon becoming grayish brown, thick, and very deeply furrowed from the base of the tree upwards. 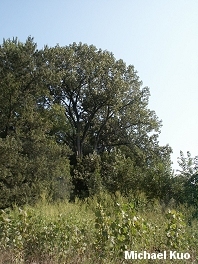 Note: Plains cottonwood (Populus deltoides ssp. 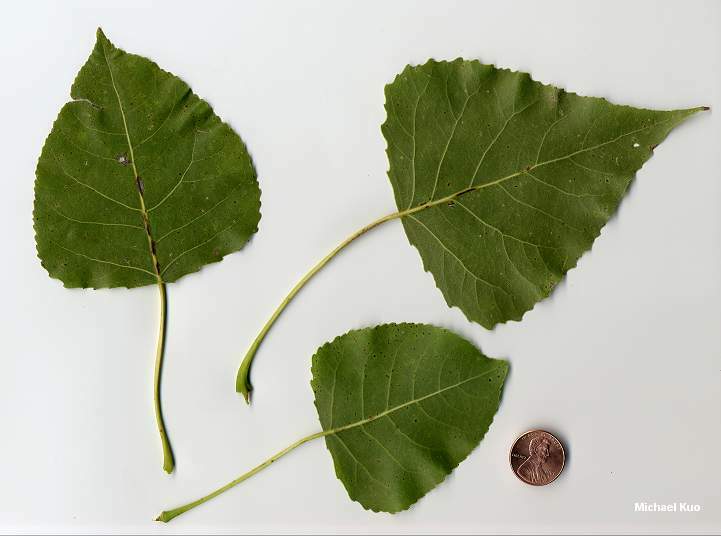 monilifera) is a subspecies of eastern cottonwood found in the Great Plains; its leaves are slightly shorter (3-4 inches) and feature 10-30 teeth, along with 1-2 glands at the point of attachment to the twig. Amanita populiphila; Galerina marginata; Ganoderma applanatum; Gyromitra caroliniana; Hemipholiota populnea; Lactarius controversus; Morchella esculentoides; Pleurotus pulmonarius; and others.